Last month, Nokia announced its massive partnership with Google for bringing all of its smartphones under either Android One or Android Go program. The latter has created quite some buzz in the industry because it’s aimed at entry-level smartphones. Android Go is the light version of Android and is sought to redefine the OS on low budget phones and is targeted to provide a smooth experience on these devices. The first in the line-up of these phones, the Nokia 1 running Android Oreo (Go Edition) is already live for selling since March 28, 2018, in India. Also, to boost the sales of the device, users are being provided with a very attractive cashback offer from Reliance Jio which is worth Rs 2200. The selling price of the Nokia 1 without any offers is set at Rs 5,499. However, the cashback being offered by Jio effectively brings down the price to mere Rs 3299 which truly seems like a snap deal for someone looking for a budget smartphone. Like we highlighted before, HMD Global is actively seeking partnership with more and more brands. After partnering with Google for Android, they have also taken Jio’s help to bring this cashback offer to the common people in India. The offer which is worth Rs 2,200 is already live and can be redeemed by the purchasers. The offers which will be available until May 31st, 2022 is valid for both first time and existing Jio customers. The great point about the offer is the fact that it comes with a very useful cashback offer, people can get their Rs 2,200 when they pay for the device whether online or offline. For Jio users, the buyers just need to activate their SIM on the Nokia 1 phone. After activating the SIM on the phone, users will need to make a recharge of Rs 198 or Rs 299 to finalise the offer. To give a hint of what Jio provides in these two offers we give a brief outline of these plans- In the Rs 198 plan, Jio provides 58GB data (2GB FUP daily) along with unlimited calling while in the Rs 299 plan, Jio provides 84GB data (3GB FUP daily) along with unlimited calling. Both the plans have a validity of 28 days. There is a deadline for completing the first recharge after switching on the phone with the activated SIM. The first recharge on the SIM should be made before June 30, 2018. Further on, the last condition for customers to avail the Rs 2,200 cashback offer is that the users should have JioPrime membership. The users will then be eligible to receive the cashback offer in the form of 50 vouchers of Rs 44 each. These vouchers can be further used to recharge data in future. The data vouchers which are credited to the user’s account can be put into use via the MyJio application. However, one condition prevails that these vouchers can only be availed while recharging account with Rs 198 and Rs 299 packs. The expiry date of the vouchers is May 31, 2022. In addition to this, Jio users get an additional 60GB data after the purchase of Nokia 1 smartphone. Additionally, when users recharge their account with Rs 198 or Rs 299 before March 31, 2019, they will be eligible for extra 10GB data for a maximum of six recharges. This extra 10GB vouchers will be credited within 48 hours of recharge with either of the two packs. All the received vouchers can be accessed under the ‘My Vouchers’ section of the MyJio app. 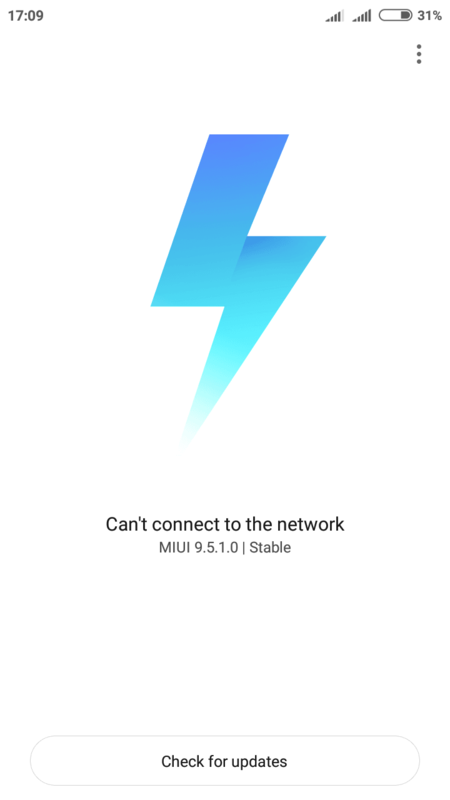 Miui v9.5.1.0 is released to Redmi 5A. Early batches got the ota updates.. Rest of the devices would get the update by next week…!! *Still Vodafone and idea volte is not enabled..!! Nokia has not mentioned where one needs to buy the device. Odd!! I guess one can purchase this only on their site as of now. Its funny how big companies miss out on giving complete information. [I recall Mahindra not mentioning the word diesel anywhere in its Scorpio website .. when I pointed this out to my friends they couldn’t believe it]. No. This is what their press release says: “Nokia 1 will go on sale starting 28th March and will be available for purchase from leading offline retailers across the country.” If this website is so insecure and doesn’t allow links to other websites, I could have added a link to the press release.